At the southernmost tip of the African continent, flanked to the west by the Atlantic Ocean and to the south and east by the Indian Ocean, is the Republic of South Africa. The new democracy, aptly called "The Rainbow Nation", is a colourful combination of ethnic cultures living in a land of scenic contrasts. South Africa occupies 1 223 410 sq. km (472659 sq. miles) and stretches from The Limpopo River in the north to Cape Agulhus in the south. It is five times the size of Britain, twice as big as France and about one eighth of the size of the United States. South Africa borders Namibia, Botswana and Zimbabwe to the north, and Mozambique and Swaziland to the Northeast. South Africa enjoys a wealth of fauna and flora. The miracle of spring flowers in the arid Namaqualand region, herds of elephant, endangered black and more common white rhino and, most revered of all, the lion, are an inspiration to all those who seek the wonder of the African bush. Please note that anyone travelling to South Africa must have two consecutive blank pages in their passport which lie side by side when the passport is open (i.e. a left and a right hand page). Passports must also be valid for at least six months. Passengers travelling to South Africa with passports which do not comply with these requirements, will either be stopped from boarding the aircraft or risk deportation on arrival in South Africa. In addition, a parent travelling with children, WITHOUT the other parent, will need a letter of consent from the absent parent. The letter of consent must be certified by the police. South Africa enjoys a high number of clear, sunny days. Summer in South Africa lasts from October until March. Despite regional differences, South Africa's climate is generally mild throughout the year. Snowfall is limited to the highest mountain peaks. South Africa is a relatively dry country with a mean annual rainfall of 502mm. Kwa-Zulu Natal has a mostly subtropical climate with high humidity in summer. The Gauteng region (Johannesburg and Pretoria area) enjoys hot summers with occasional thundershowers, and frosty winters while the Mpumalanga and the Kruger National Park (known as the Lowveld) has mild winters. The Cape interior and the Free State have similar weather conditions to the Gauteng region. The Western Cape region enjoys a Mediterranean climate with warm, dry summers and cold, wet winters. Neutral coloured clothing for the Game Parks. Shorts and t-shirts. Warm clothes for evenings. Comfortable walking shoes. A hat with a wide brim. A fleece or windbreaker. Personal toiletries. Camera with spare batteries and film. Binoculars. Sunscreen. Insect repellent. Passport. International Drivers License. Malaria Prophylactics if applicable. Most banks are open Monday to Friday 09h00 to 15h30 and Saturday from 08h30 to 11h00. The following banks offer foreign exchange services: First National, Nedbank, Standard Bank and ABSA. Various teller machines (ATM's) are found in every large town. Several international banks have branches in the main cities. The banks and the Bureaux de change at the airport offer the best exchange rates, but it is also possible to change money at the hotel reception. South Africa has some of the finest beaches on earth, with literally hundreds of miles of golden sands. For the majority of the time the surf is safe for swimming, but it does have dangerous undertows and side washes. In the Western Cape the water is extremely cold all year round. The water is warmer along the Garden Route, with the best swimming beach being Plettenberg Bay. Around Durban and the resorts to the north of KwaZulu Natal, the water is ideal for swimming. Bring your binoculars if you are a keen bird watcher, as South Africa ranks as one of the finest birdwatching destinations in the world. The Kruger National Park alone has recorded 500 different bird species, many of breathtaking beauty, Ndumo Game Reserve in Northern Natal has a similar quantity. The best time for birdwatching is October to March, when intra-African and European migrants are in residence. Visa and MasterCard are widely accepted throughout the country. American Express and Diners are less widely accepted, however more acceptable in the main city centres. NB: In South Africa, petrol (gasoline) can only be paid for by cash. Ordinary credit cards may not be used for the purchase of petrol. Green Channel: Proceed through the green channel only if you have no more than the duty-free customs allowance, or no goods for commercial purposes, or no prohibited or restricted goods. If you do not qualify for the green channel, please proceed to the red cannel. Customs charges: You will have to pay duty on items which are over the allowed limits. You normally have to do this before you leave the customs hall. Duty-free Allowances: Cigarettes 400, Cigars 50, Cigarette or pipe tobacco 250g, Wine 2litres, spirits or other alcoholic beverages 1 litre, Perfume 50ml, Eau de Toilette 250ml, Gifts, souvenirs and all other goods R500.00. No person under 18 is entitled to a tobacco or alcohol allowance. We are fortunate, compared to many countries in Africa, in that we have clean, drinkable tap water. All water from hotel taps is purified and visitors need have no hesitation in drinking it. Water from boreholes in various camps and lodges is also good. We recommend that you do not drink standing water or water from rivers or lakes. Ice supplied throughout the country is safe to consume. South African meat, fruit, vegetables, freshwater fish and sea fish are of the highest quality. Fruits, salads and vegetables can be eaten without concern. The country's restaurants, which are superb, offer a wide range of culinary delights. While there is no such thing as South African cuisine, the culinary traditions of some of the colonial and immigrant groups have been particularly influential. Examples of these include fiery curries from KwaZulu-Natal which has a large Indian population, Malay cuisine from the Cape which is famed for it's fragrant bredies and boboties, and old cape Dutch cooking featuring Karoo Lamb, venison (springbok), sweet potatoes, pumpkin as well as a piquant concoction made from waterblommetjies or 'water flowers'. One of the best-loved South African traditions is the standard braai, or barbeque, literally translated as "grilled meat". All electrical appliances run on 220 volts. Outlets are round 3 pin, 15 amp type. Special adapters for video cameras, chargers and hairdryers are needed and can sometimes be supplied by some hotel receptions. Various safari camps and lodges may not have 220 volts and may operate on solar powered 12-volt electricity. Phones are available at all hotels and restaurants, but not all safari lodges. Public phones either operate with coins or cards (these can be bought from any Telkom outlet). The international code for the USA is 091 followed by the area code (without the zero) and the number. The UK is 0944 and France is 0933. Gratuities are not included in the bills of restaurants and hotels. Some restaurants automatically include a tip, but most leave the gratuity up to you. A tip of approximately 10-15% of the total amount is expected if good service has been given. Gratuities for guide and drivers are also not included. Tipping is not compulsory and should only be done if you have received good service. As a guideline: - In bars and restaurants 10-15% on the bill - At lodges and accommodation establishments one would add about R100+ per room per night to the extras bill. This gets divided between housekeeping, maintenance, kitchen staff. 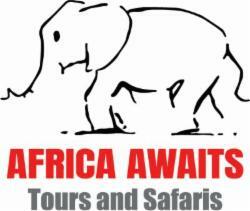 - At Safari Lodges one can tip the ranger/guide that has looked after your for theduration about R100 - R150 per day. - For transfers and taxis @ R10-R20 to the driver as a gesture - At attractions @ R20-R50 to the local guide depending on duration of visit and experience received. South Africa has 11 official languages: Afrikaans, English, Ndebele, Northern Sotho, Southern Sotho, Swazi, Tsonga, Tswana, Venda, Xhosa and Zulu. English however, has been declared the language of record and is therefore the main language of business. Languages such as French, German and Italian are spoken by staff members at many up-market hotels and shops. South African English is heavily influenced by Afrikaans and, to a lesser extent, by some of the African languages. First-time visitors may have trouble understanding the South African accent, which lengthens certain vowels, clips others short, and swallows others. Filling stations are conveniently situated throughout the country. Unleaded petrol is available. Most filling stations are open 24 hours a day. Please bear in mind that you are only able to pay for petrol with cash money. When visiting South Africa, foreign tourists can have sales tax (known as Value Added Tax - VAT) refunded at a port of exit provided the value of each invoice for goods purchased exceeds R50.00 and the total value of all items purchased exceeds ZAR250.00. To qualify for a refund visitors must be in possession of a valid passport, valid tax invoices and must produce the goods purchased. Please note that a receipt stating "for information only" is not accepted by the VAT refunders. It has to say VAT invoice and show the amount. The VAT rate is 14 percent and is levied on most products. An excellent network links the largest metropolitan areas with the smallest villages. NB - South Africa drives on the left. Gravel roads are generally well maintained however you should not exceed 80km/h to avoid skidding or losing control of the vehicle. The speed limit in urban areas is usually 60km per hour; on rural roads 100km per hour, and on freeways 120km per hour unless otherwise indicated. Wearing seat belts is compulsory. Driving under the influence of alcohol is a serious offence and traffic laws are strictly enforced. A valid driver's licence, provided the photograph is an integral part of the document, and provided it is printed in English, is accepted. For finding your way when lost, and for your safety and "peace of mind", we strongly recommend that cellular telephones be hired for the duration of your holiday. You can hire these on arrival at International Airports. Or alternately use your own. It's sensible to take the same precautions in our major cities as you would in any of the world's metropolitan areas. Never leave luggage unattended in front of the hotel or in the lobby. Deposit your valuables in the hotel's safety deposit box. Don't stroll around the streets after dark. Always lock your car doors and keep the windows closed whilst travelling. Do not walk around the city looking too much like a tourist and keep your camera concealed rather than around your neck. A variety of shopping centres, local handicraft markets and roadside stalls are found. Quality gold and diamond jewellery is high on the list of the most popular purchases. Leather goods, wooden carvings, sculptures, paintings and local handicrafts including pottery, beadwork and woven articles are also available for purchase. Phones are available at all hotels and restaurants, but not all safari lodges. Public phones either operate with coins or cards (these can be bought from any Telkom outlet). The international code for the USA is 091 followed by the area code (without the zero) and the number. The UK is 0944 and France is 0933. Phoning from any hotel room can be very expensive. There are phone booths at some of the hotels. Inquire at the reception desk. The international code for South Africa when dialling from abroad is 27. Do not dial O before the city code, e.g. Johannesburg would be +27 11. To call overseas from your hotel room, dial 0 to get a line and then 00 (from S.A) then the international country code e.g 44 (U.K) and the local number.